(Stillness in the Storm Editor) Music is a powerful catalyst for consciousness healing and evolution. Listening to music is a whole brain activity that helps restore proper balance and functioning of the mind/body system. But not all music is created equal. Some can invoke powerful states of wholeness and balance while others can increase anxiety. A team of researchers discovered that one song, in particular, has an incredible power to restore emotional balance in the same way meditation can. Anxiety is a state of stress that reduces whole-brain processes and higher functions. Creativity, intuition, inspiration, happiness, reverie, love, and bliss are whole brain activities that cannot be invoked while also suffering from a state of fear and stress. Fear and anxiety—especially due to lack of performance in school, social situations, and the workplace—can leave people in a crippled state that often goes unaddressed, becoming a form of trauma leading to PTSD. What's more, competition culture—which we can also think of as comparison culture—has become the norm for most of the modern world. We're taught early on that we need to justify our existence and life pursuits by comparing ourselves to others—if it isn't "normal" than it isn't socially acceptable, and you shouldn't be doing it. This is the meta-message we receive from society and social engineers, which has become a self-policing mechanism via social media. The average social media user is constantly comparing themselves and their value system against others and a type of pandemic groupthink sickness has taken over. Newer generations who have known nothing but competition culture are plagued by self-esteem issues, depression, and anxiety. Suicide rates amongst young people continue to skyrocket, and the mainstream medical system seems completely unsure of how to deal with the problem, often prescribing medications that mask symptoms but don't address the causal factors. From a spiritual/psychological perspective, the problem is simple: we're so bombarded by cultural icons, advertising, and social norms—at an early age—it is nearly impossible for people to find themselves. We need time to develop our inner essence, find our life purpose, and pour energy and attention into it. When one does this enough, they begin to become immune to the trappings of social programming and competition culture. Thus, those newer generations who have been immersed in media through venues like television, smartphones, and computers have known nothing but competition culture—they've never known a moment of intrinsically derived inspiration. The emotional toxicity from this ceaseless onslaught of programming that tells us we aren't good enough and are inadequate. If left unchecked this can lead to a a fearful, anxious, and narcissistic personality. The healing and inspiring power of finding oneself—what the ancients called alchemy, self-mastery, or knowing thyself—is always at our fingertips. But when one cannot see the value in such pursuits what can others do to help? Abstractions are difficult for the uninitiated to comprehend. Tell a child or teenager that they can improve themselves via holistic practices and they'll probably look at you like you have six heads. But tell them that they can listen to a piece of music that calms them down and helps with concentration, and they'll probably give it a chance. The following article discusses several facets of modern society that have plagued newer generations. As time goes on, those children raised by cell phones, tablets, TV, and the ever-increasing competition culture will find it more challenging to maintain emotional balance and productive lives. 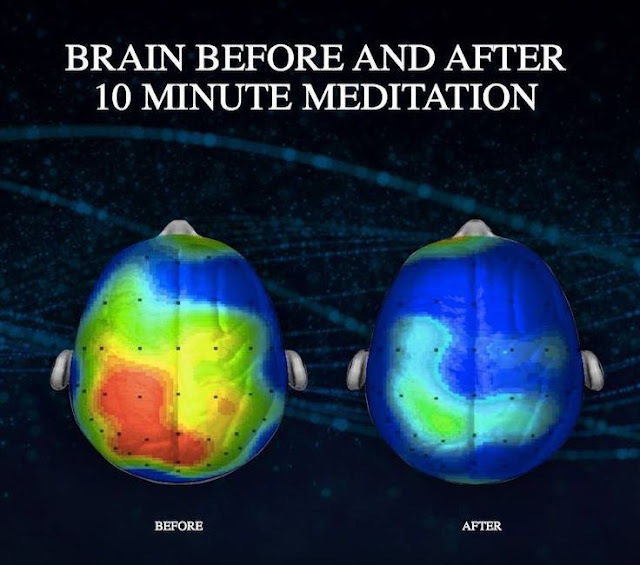 But music, designed specifically to integrate the brain and produce meditative states of consciousness are an excellent first step. Once one intrinsically sees the value in these things, they will be more likely to step forward along the path of self-actualization and mastery. To be sure, all of us can benefit from developing an intrinsic knowledge of self and take up past times that enhance and cultivate our inner essence. So don't wait to begin this mind/body soul/healing process. Ultimately, the further one walks along this path of self-mastery, the more balanced, empowered, intelligent, and inspired they become. The key of keys in this sense is developing that inner-drive to know thyself and follow that path as far as it can go—even if it means walking away from our "friends and family" who want us hold back so we can be "normal." In the end, only you can be responsible for your health, happiness, and prosperity. The sooner we start—no matter how old we are in life—the sooner we can unlock the mysteries of existence and the seemingly magical attributes hidden within each of us. Minor grammar corrections were made to this article on the day it was published.